2017 BRADMAN SCHOLARSHIP | The International Cricket Hall of Fame. 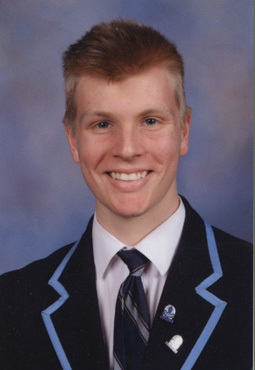 The coveted Bradman Scholarship for 2017 has been awarded to Andrew Young, 18 years, of Melbourne University. Both a talented cricketer and writer, the opening batsman with a flair for writing about the game stood out amongst over sixty entries. The Arts degree student will receive $15,000 over three years to assist his studies. The young writer is popular amongst readers of renowned sports opinion website, the Roar, where Young’s love of literature and cricket combine. His recent article A Cricket Tragics Guide to the Off-Season encapsulates the passion he has for the summertime game accompanied by the emptiness felt as winter approaches. The scholarship was first awarded in 1990, with recipients including notable Australian cricketers; Test batsman Martin Love; Greg Mail, the highest-scorer in the history of Sydney Grade cricket competition; Alex Blackwell, current Australian women’s cricket vice-captain; and Georgia Redmayne, Tasmania’s WBBL wicket keeper. The scholarship panel is headed by Foundation Patron, former Prime Minister, John Howard, Chairman Maurice Newman, and 2008 Scholar David Miller. The Foundation’s Executive Director, Ms Rina Hore, said that Andrew Young had made a deep impression on the interview panel. Of sixty applicants four students were selected to be interviewed. They were highly impressed by each young Australian student, who demonstrated excellent social skills and a high commitment to balance university studies with busy cricket schedules. Andrew Young said of receiving the scholarship “I am very honoured to win the Bradman Scholarship and will do whatever it takes to balance cricket and study. At school I did what most interested me, what I truly wanted to do, and I will continue to think that way.” He was honoured at the annual Scholars Board Room Luncheon in Sydney on Wednesday, April 19 by Chairman Maurice Newman AC. Download a 2018 application here. The Bradman Scholarship is national and was first awarded in 1990. Each year the Bradman Foundation offers one three year scholarship to an Australian University. Over 27 years the scholarship has assisted many young cricketers with the costs associated with acquiring a tertiary education, juggling study and cricket club commitments. It is open to all undergraduate students who have a connection with cricket and continue their involvement whilst at university. The Bradman Scholarship provides a three year funding plan of $5,000 per year for up to three years. Eligible participants must be players, qualified coaches or umpires, who are and continue to be actively involved in the game whilst attending an Australian University as an undergraduate on a full time basis. The application period closes 28 February 2018 and forms can be downloaded here. For further information or enquiries contact: Rina Hore, Executive Director on 02 4862 1247 or email [email protected].